We’ve enlisted our top ten favorite looks from the Dior spring show and with Rihanna stealing the show as usual, the Bajan beauty showed up; pretty in pink in a fall 2015 couture fur sleeve cape piece paired with black patent thigh high boots. Rih was accompanied by her mum and brother who with no doubt must have enjoyed the show as they were sat front row to see it all. 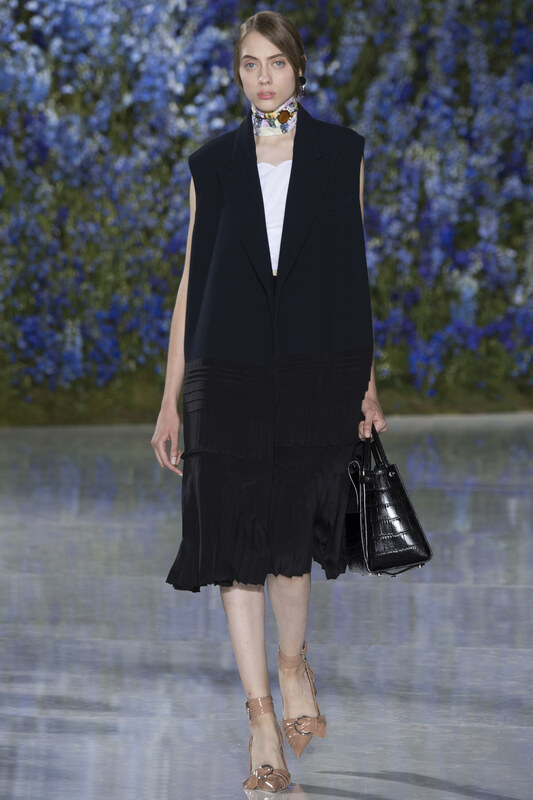 Below are the pieces we’d be caught wearing and we are so glad Raf Simons delivered such a spectacular show for Dior spring 2016 in Paris yesterday. “In the context of everything that’s happening right now, I’m questioning a lot. 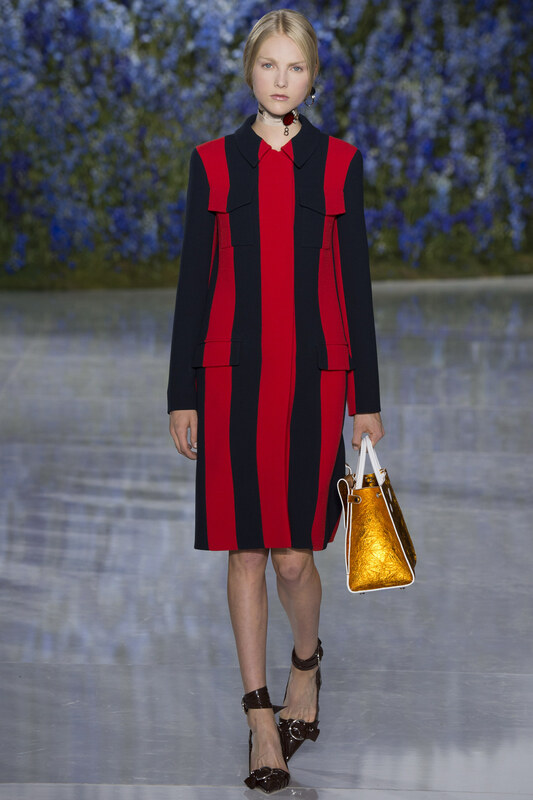 I feel a lot of people are questioning,” Simons said, he further explained that fashion’s frenetic spinning impacted his approach to spring. “I feel like doing something calm, calm and beautiful and sensitive and romantic.”. 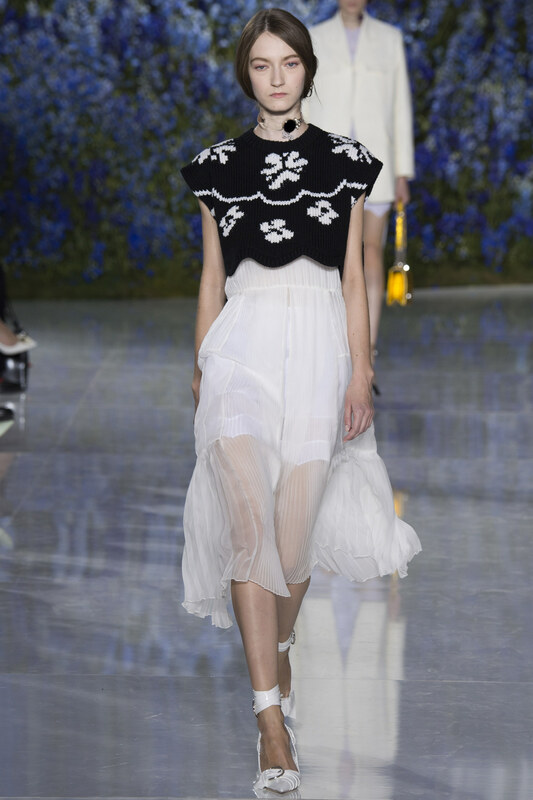 Dior spring 2016 collections was full of fresh summer options, with very light, simple and very wearable pieces. 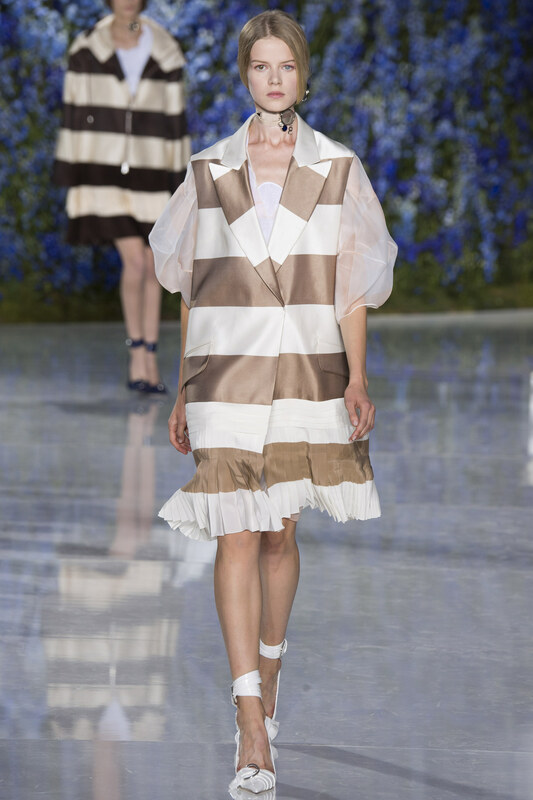 The jackets were of a masculine-feminine fit, pieces were paired with accessories including; scarves and chokers, each carrying a single jewel and dangling a metal tag, some of which read 1947, which was the date of Dior’s revolutionary New Look collection. See more below.